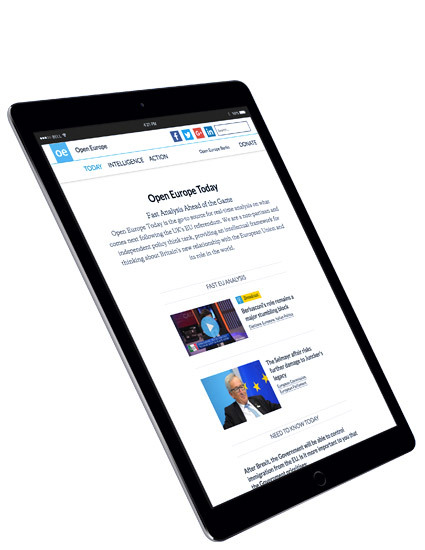 Open Europe is a non-partisan & independent think tank, conducting analysis and producing recommendations and reports on the European Union’s policies, proceedures and relationships. Often cited in the media, they aim to provide the public and official bodies with the information needed for rational, informed decision making with regards to Britain’s new relationship with the EU and the rest of the world. 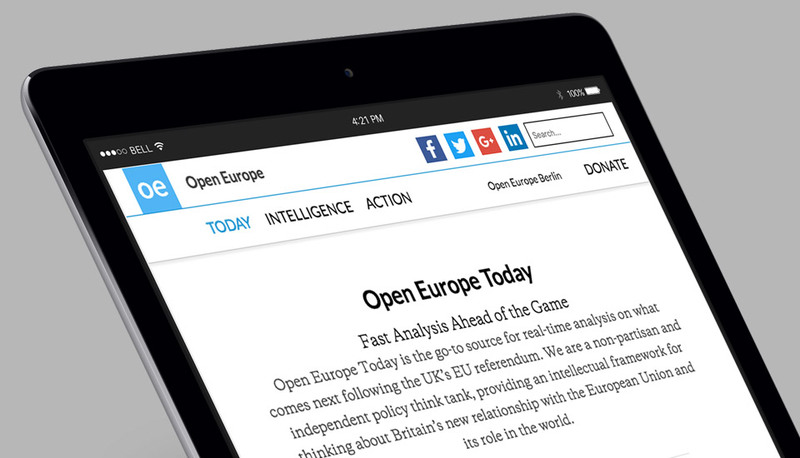 Open Europe had thousands of in-depth articles, reports, blog posts and research but it was very dfficult for users to navigate or find what they wanted. The creative agency, &&&, took the lead and we worked with them, supporting their plan for a completely re-structured & re-defined content hierarchy to make the website easier to navigate. The new improved navigation increased engagement and discoverability and, just for good measure, we integrated it with an email system to send daily mail-outs of the latest updates. 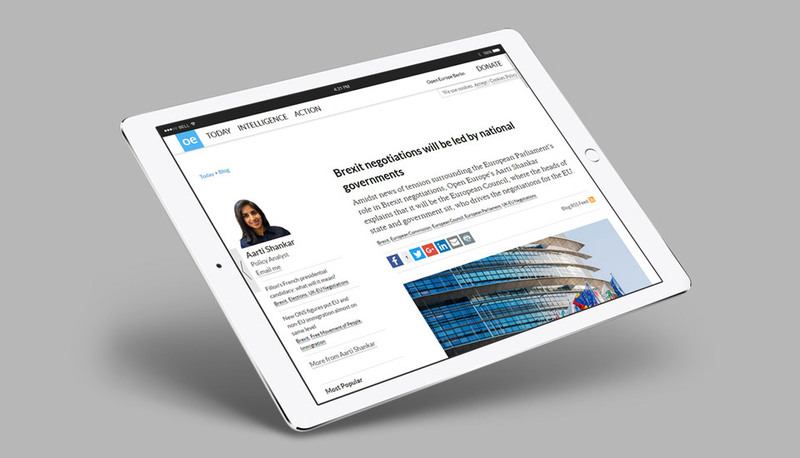 Along with making Open Europe’s huge archive of reports & documents available to journalists and governments, we provided tools necessary to publish the steady stream news and analysis of current events in the EU, integrated email summaries and much more into this complex content based site. The exceptional talents of &&& creative agency ensured the site enhanced the brand and complemented the range of other work they were doing with Open Europe.